Vitara is a family of hands-free, automated, ultrashort pulse and maintenance-free ultrafast Ti:S oscillators capable of extreme performance. With models proficient at generating pulses <8 fs, powers close to 1W, adjustable bandwidth and center wavelength and a full range of advanced accessories, Vitara is the state-of-the-art choice for your most sophisticated applications. The newest member of the Vitara family of extreme performance, closed-box, ultrafast oscillators – the Vitara-UBB –provides hands-free access to pulsewidths under 10 femtoseconds, with options below 8 fs on request. Vitara UBB (Ultra BroadBand) achieves its short transform-limited pulsewidths because of its very broad bandwidth (> 220 nm at the -10 dB point). 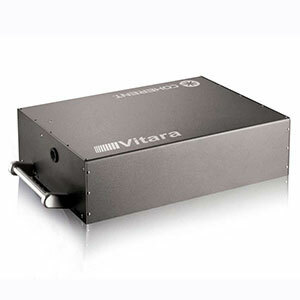 Its unique combination of short pulsewidth, broad bandwidth, high reliability and ease of use make Vitara UBB the ideal laser for applications in terahertz pulse generation, optical coherence tomography (OCT), pump-probe spectroscopy, multiplexed CARS spectroscopy, non-linear microscopic imaging and seeding short-pulse amplifiers. 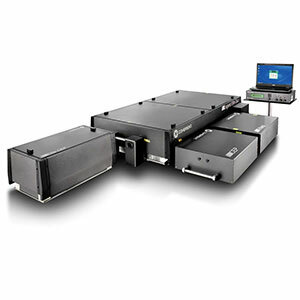 By integrating Coherent’s field-proven Verdi-G pump laser into the robust opto-mechanical design of the Vitara platform, and applying Coherent’s exacting industrial laser manufacturing processes – including rigorous HASS (Highly Accelerated Stress Screening) – all Vitara lasers are engineered for thousands of hours of maintenance-free performance. In addition, ease of use features such as electronically adjustable bandwidth control and PowerTrack active pump beam alignment make the Vitara an outstanding productivity tool in today’s results-driven research environment. Amplifier Seeding Vitara-S provides the best value for systems where the main purpose of the oscillator is seeding amplifiers with 10-50 nm bandwidth. Vitara-T is a best choice when maximum flexibility is important, when Carrier to Envelope Phase (CEP) or external synchronization is required and when the desired amplifier bandwidth is >50 nm. Terahertz Generation Vitara-T HP provides the optimum performance to generate broadband THz, also in power-hungry situations like with large area photoconductive antennas and when using optical rectification. 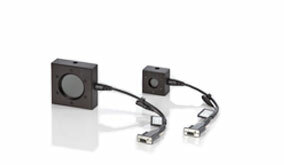 For maximum THz bandwidth generation, the shortest pulses of Vitara-T provide the best performance. Time-Domain OCT Because of the relationship in OCT imaging between spatial resolution and laser bandwidth, Vitara-T enables the highest resolution due to its 125 nm bandwidth. Multiphoton Microscopy Vitara-T provides the broadest spectrum for multicolor imaging as well as excitation spectral selectivity becasue of its tunability and bandwidth adjustment. For situations where higher power is desired at a small loss in bandwidth, Vitara-T HP is a good choice. Broadband CARS The broad bandwidth and tunability of Vitara-T truly enables this application. 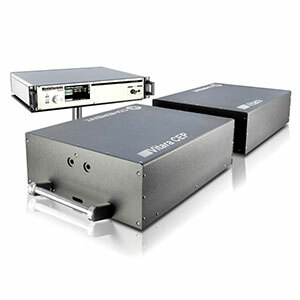 If even broader spectra are desired, both Vitara-T and Vitara-T HP can be used to generate supercontinuum in a PCF. In this case, Vitara-T HP will provide the highest throughput, due to its higher power. CEP Stabilization The Vitara CEP accessory is designed specifically and exclusively for Vitara-T. 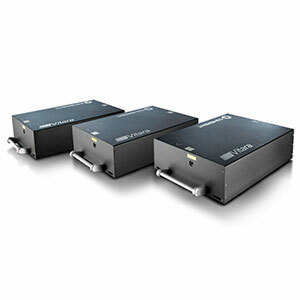 External Synchronization When an ultrafast laser or amplifier needs to be synchronized with another laser or a device like a Free Electron laser or a particle accelerator, Vitara-T with Synchrolock provides the best performance in jitter and repetition rate adjustment. Rechargeable battery pack incorporating “smart charge” circuitry. 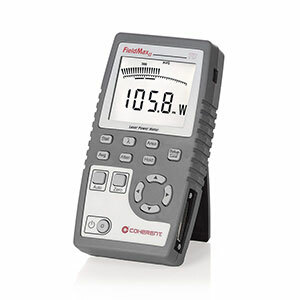 Recharged through an internal charger in the FieldMaxII unit.